San Francisco import Mr Holmes Bakehouse will set up shop in Highland Park. The bakery’s specialty “cruffins” --- chewy-crispy, muffin-shaped, cream-filled, sugar-dusted croissants --- come in such extravagant flavors as piña colada, strawberry milkshake, fluffernutter, creme caramel and coffee-marshmallow. Mr Holmes Bakehouse, 111 S. Avenue 59, Los Angeles, CA 90042, no phone. Chef/owners Brooke Williamson and Nick Roberts (Playa Provisions, Hudson House, The Tripel) will open Da Kikokiko in Runway Playa Vista. The restaurant will serve Hawaiian street food like Spam musubi. Da Kikokiko, 12746 W. Jefferson Blvd., Playa Vista, CA 90094, no phone. Phillip Frankland Lee will open Woodley Proper, sharing the same complex in Encino as Scratch Bar & Kitchen and Oh Man! Ramen. Woodley Proper, Encino Place, 16101 Ventura Blvd., Encino, CA 91436, no phone. Manuela will make its debut in the Hauser Wirth & Schimmel arts complex in downtown Los Angeles. (The restaurant is named after the company's partner and co-president: Manuela Wirth.) Expect "soulful" fare with Southern flair and seasonal ingredients. Manuela, 901 E. Third St., Los Angeles, CA 90013, no phone. Chef Ludo Lefebvre, along with partners Jon Shook and Vinny Dotolo, will open a second location of Petit Trois in Sherman Oaks. Petit Trois, 13705 Ventura Blvd., Sherman Oaks, CA 91423, 818-986-2640. TBC Hospitality will open Banditos Tacos & Tequila, a sports bar near the Los Angeles Memorial Coliseum stadium. It will feature lots of TVs, a full liquor selection (emphasizing tequila) and a food truck in the parking lot serving up tacos until the wee hours. Banditos Tacos & Tequila, 900 W. Martin Luther King Blvd., Los Angeles, CA 90037, no phone. Chef Marcel Vigneron has introduced Beefsteak next door to Wolf. This concept offers juices and "plant-based cuisine" for breakfast, lunch and dinner. 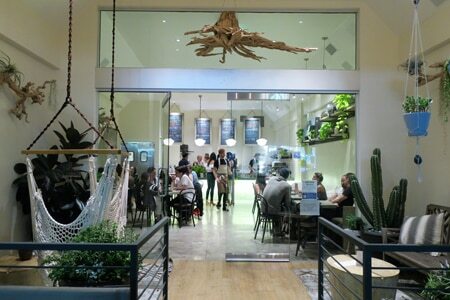 Beefsteak, 7661 Melrose Ave., Los Angeles, CA 90046, 323-424-7443. Following up on the January opening of Obicà Mozzarella Bar, Pizza e Cucina in Santa Monica, the Italian concept has brought a location to West Hollywood. 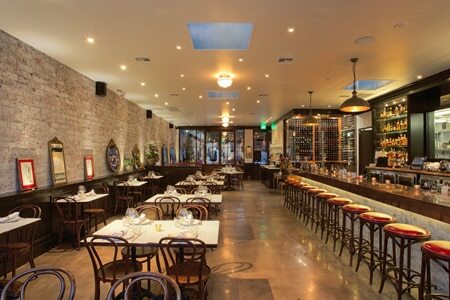 Obicà Mozzarella Bar, Pizza e Cucina, Sunset Plaza, 8630 Sunset Blvd., West Hollywood, CA 90069, 310-360-5983. Frozen Fruit Co has opened in Santa Monica on Montana Avenue, bringing a new type of soft serve (made solely from fruit) to the frozen dessert scene. The store's four flavors are Alphonso mango and strawberry; raspberry and orange; coconut; and cacao, date, pineapple and passionfruit. Frozen Fruit Co, 729 Montana Ave., Santa Monica, CA 90403, 424-744-8860. Afghani Kabob House has opened in Beverly Hills on Wilshire Boulevard. The restaurant took over the space previously occupied by Persian spot Pistachio Grill. Expect a menu of traditional Afghan dishes, including lamb shank in rice pilaf, stuffed breads, dumplings and beef, lamb and chicken kabobs. There’s also a cucumber mint yogurt drink and desserts like pistachio rosewater pudding or baklava. Afghani Kabob House, 8560 Wilshire Blvd., Beverly Hills, CA 90211, 310-854-1020. Mexican seafood restaurant La Carmencita Oracular Kitchen will open this fall in Hollywood on Highland Avenue. Guests will choose from a range of fresh ceviches, fish tacos and other Mexican seafood specialties. La Carmencita Oracular Kitchen, 1156 Highland Ave., Los Angeles, CA 90038, no phone. ., Tarzana, CA 91356, 818-343-3195. 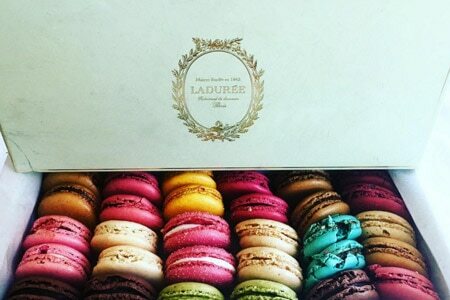 Los Angeles will get its own location of famed Parisian pastry boutique Ladurée, known for its colorful macrons. This store and restaurant at The Grove will join the global brand’s other United States branches in New York and Miami. Ladurée, The Grove, 189 The Grove Dr., Los Angeles, CA 90036, no phone. Los Feliz mourned the loss of Mother Dough, but coming soon to the Hollywood Boulevard space is Kismet from Brooklyn chefs Sara Kramer and Sarah Hymanson (Glasserie, Blue Hill) who are teaming up with fellow chefs Jon Shook and Vinny Dotolo (Animal, Son of a Gun) for a synergistic, modern Mediterranean concept. Kismet, 4648 Hollywood Blvd., Los Angeles, CA 90027, no phone. 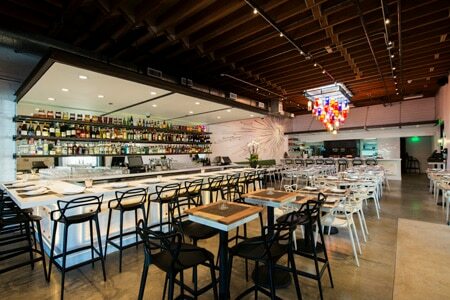 O+O Sicilian Kitchen & Bar will open in the former space of eLOVate Vegan Kitchen & Juicery in Santa Monica. The menu will offer Sicilian-style pizzas, meatballs, salads and crudo made with local ingredients, as well as a full bar and Cal-Italian wine list. O+O Sicilian Kitchen & Bar, 1705 Ocean Ave., Ste. 111, Santa Monica, CA 90401, no phone. SBE will bring an outpost of Miami Italian restaurant Fi'lia to the new boutique James Hotel, which is set to open in West Hollywood in early 2017. Expect elevated Italian fare from chef Michael Schwartz (Fi'lia Miami, Michael's Genuine Food & Drink), including rustic pizzas, salads and a cocktail program from Zachary Patterson (Melrose Umbrella Co.). Fi’lia, James Hotel, 8500 Sunset Blvd., West Hollywood, CA 90069, no phone. 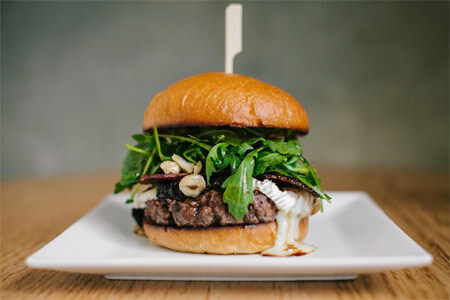 Pono Burger is now serving its organic, island-inspired burgers on the Sunset Strip. Exclusive to this branch are a selection of pupus (small plates such as teriyaki chicken skewers) and Pau Hana (happy hour) weekdays from 3 p.m.-6 p.m. Pono Burger, 8830 Sunset Blvd., West Hollywood, CA 90069, 424-666-0845. TBC Hospitality has replaced Bugatta Restaurant & Bar with a playful new concept called Sandbox. Sandbox, 7174 Melrose Ave., Los Angeles, CA 90046, 323-964-9494. Lost at Sea is Old Pasadena’s newest neighborhood seafood spot, courtesy of restaurateurs Santos Uy (Mignon, Papilles) and executive chef Tim Carey (Papilles). Carey turns out dishes with California ingredients imbued with French technique; look for high-end oysters; amberjack with tomatillo aguachile; snapper with shelling and wax beans, shimeji, tarragon fumet; and butterscotch pot de crème. Lost at Sea, 57 E. Holly St., Pasadena, CA 91103, 323-553-0563. In Sherman Oaks, chef Andre Guerrero (The Oinkster, Maximiliano) will open Ramen Room this fall on Ventura Boulevard, in his former Marché space. 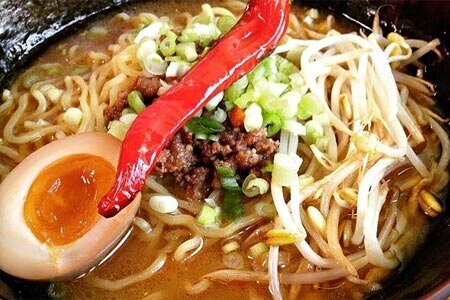 Expect a menu of ramen and Filipino specialties, with draft beers, wines and sakes. Ramen Room, 13355 Ventura Blvd., Sherman Oaks, CA 91423, no phone. West Hollywood’s Rock and Reilly's Irish pub is opening a sister location in DTLA in the former FOH Mexican Restaurant. Don’t expect any more authentic Irish fare than the original spot’s Irish nachos, corned beef sliders, and tater tots, along with burgers, salads and a slew of bar food. To drink there will be whiskey flights, beer floats, assorted cocktails, and rotating draught taps. Look for an August opening. Rock and Reilly's, 615 S. Flower St., Los Angeles, CA 90017, no phone. Partners Beau Laughlin, Brett Cranston and Jay Milliken (Sawyer) have opened another concept on Sunset Boulevard in Silver Lake. A 3,000-square-foot space that originally housed California Bank, Kettle Black boasts an original vault from when the venue was first built in 1922. Other focal points here include 17-foot ceilings, original tile and wood truss beams. Executive chef Sydney C. Hunter III (Café Pinot) heads up the kitchen, offering a rustic Italian menu with a variety of antipasti, plus dishes like orata crudo with sea bream, tangerine vinaigrette, pink peppercorns and malden salt; wood-oven pizza with crème fraiche, Yukon potato, broccolini and a sunny side-up egg; house-made gnocchi with braised lamb, sun-dried tomato and baby zucchini; and siciliano with sponge cake, candied pecans and smoked meringue. Dinner nightly. Kettle Black, 3705 W. Sunset Blvd. , Los Angeles, CA 90026, 323-641-3705. Here’s Looking at You, helmed by chef Jonathan Whitener (Animal), has opened in Koreatown. Whitener is offering a progressive menu with items such as sturgeon with aged rice porridge, chicken skin, caviar, buttermilk and seagrass; beef tartare with red chili, ramps, yolk, turnip and cress; and bubblegum ice cream with lychee and botanicals. Cocktails feature ingredients like pickled strawberry and beet-infused vodka, while the boutique wine list leans local or French. Dinner Wed.-Mon. 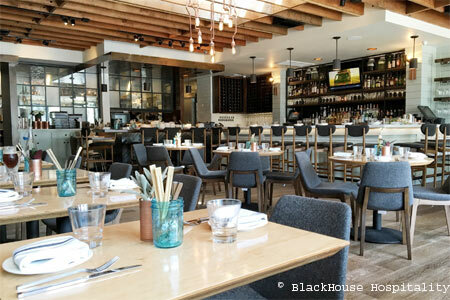 Blackhouse Hospitality (Little Sister, Steak & Whisky, etc.) has opened Suburbia in Redondo Beach. The menu of New American fare features options like poke, street corn "off the cob," fried chicken, spicy spaghetti and abura style ("soupless") ramen. Suburbia, 247 Avenida Del Norte, Redondo Beach, CA 90277, 424-398-0237. Grill Concepts, Inc., the company behind hits like The Grill on the Alley and Public School, has opened seafood-focused Laurel Point. The Studio City space occupies a prime address on the second floor of Laurel Promenade --- it was home to the Daily Grill for more than two decades. Expect sushi, oysters and cocktails with fresh juices. Laurel Point, 12050 Ventura Blvd., Studio City, CA 91604, 818-769-6336. 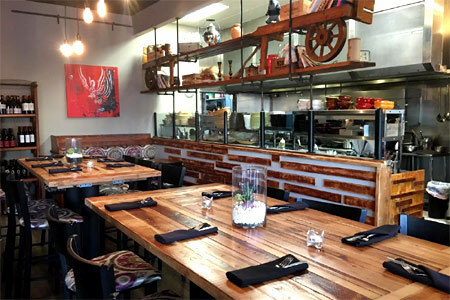 Doma Kitchen, a charming bistro in Manhattan Beach offering Eastern European comfort food, will relocate to the Marina Marketplace in Marina del Rey. In the larger space, the restaurant plans to present exclusive dinners with chef Kristina Miksyte, as well as offer the opportunity to host private parties. The Manhattan Beach location will be closed as of September 11, 2016. 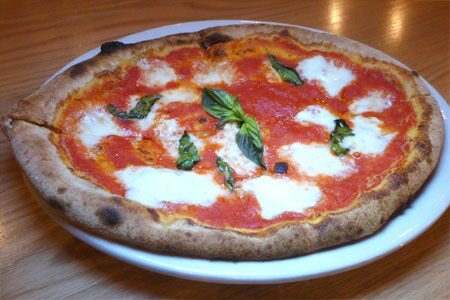 Doma Kitchen, Manhattan Village, 3562 N. Sepulveda Blvd., Manhattan Beach, CA 90266, 310-647-3157. Quinn and Karen Hatfield’s Odys & Penelope is now offering weekend brunch. Look for grilled focaccia avocado toast; summer chops with peach, lemon cucumber, feta and mizuna; yeast-raised buckwheat Belgian waﬄes with chocolate chips; a ham-and-chese baked omelet; and warm skillet buns with maple brown-butter glaze. 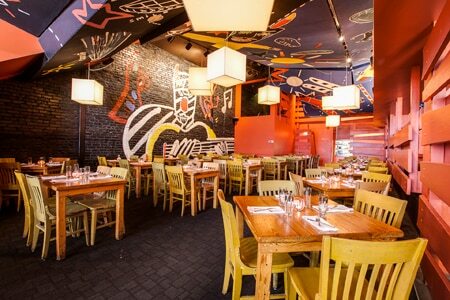 Odys & Penelope, 127 S. La Brea Ave., Los Angeles, CA 90036, 323-939-1033. 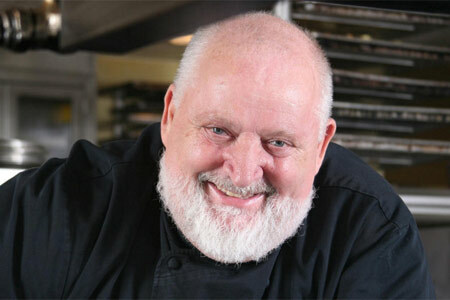 The culinary world mourns the passing of chef/restaurateur Michel Richard, who died August 13, 2016, at the age of 68. His Citrus restaurant in Los Angeles became the Mecca where Nouvelle Cuisine met America. Read André Gayot’s tribute. Stop by Vinoteca at the Four Seasons Hotel Los Angeles at Beverly Hills for house-made pastries and a jolt of java in the morning. In September 2016, the space will expand its hours as an Italian-inspired wine bar. 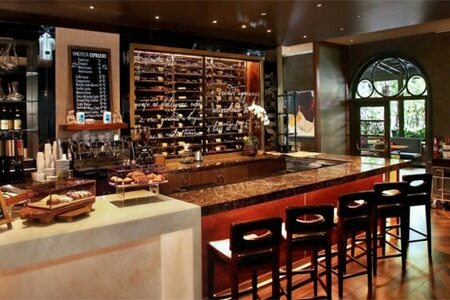 Vinoteca, Four Seasons Hotel Los Angeles at Beverly Hills, 300 S. Doheny Dr., Los Angeles, CA 90048, 310-860-4000. At Terrine, chef Kris Morningstar is set to debut a new brunch menu August 13, 2016. Look for the Terrine burger benedict with brioche, watercress red onion confit, Comté cheese, a sunny egg and béarnaise; a smoked trout potato cake with frisée salad, horseradish crème fraiche, a sunny egg and trout roe; and a warm vegetarian grain bowl. The new brunch also introduces their “Rosé All Day,” a deal that offers guests a bottomless glass of Pichard & Jourdan Chinon Rosé for $20. 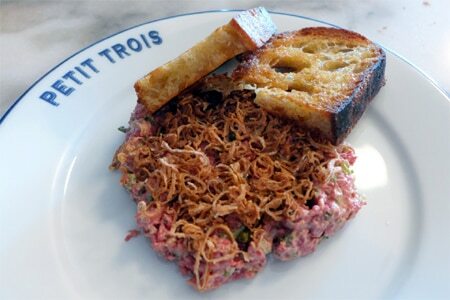 Terrine, 8265 Beverly Blvd., Los Angeles, CA 90048, 323-746-5130. 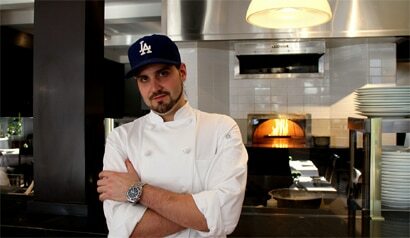 2013 Top 5 Rising Chefs in the U.S.
has moved on from the Beverly Hills restaurant. He says there will be "big news on the horizon" regarding his next move, so stay tuned! DOMA, 362 N. Camden Dr., Beverly Hills, CA 90210, 310-277-7346. Former chef at Little Sparrow, Eric Sanmaniego, is now the chef de cuisine at Michael’s on Naples Ristorante. Michael's on Naples Ristorante, 5620 E. 2nd St., Long Beach, CA 90803, 562-439-7080. The Blvd at Beverly Wilshire, Beverly Hills (A Four Seasons Hotel) is closed for renovations and will re-open with a new Mediterranean concept on September 28, 2016. Sidebar will take its turn after that, with a temporary shutter date of October 1, 2016. The Blvd, Beverly Wilshire, Beverly Hills (A Four Seasons Hotel), 9500 Wilshire Blvd., Beverly Hills, CA 90212, 310-275-5200. Chefs Mary Sue Milliken and Susan Feniger, formerly Food Network's “Too Hot Tamales,” will close the original Santa Monica location of their Border Grill restaurant after more than two decades of business. The shutter will occur in mid-October 2016. The duo plan to open a new concept in Santa Monica. 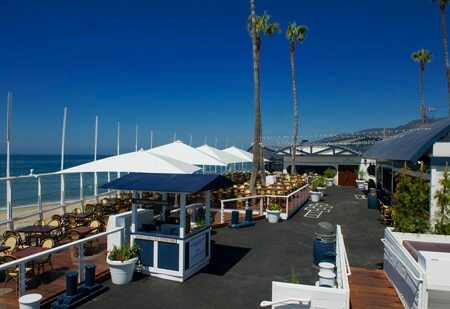 Border Grill, 1445 Fourth St., Santa Monica, CA 90401, 310-451-1655. The folks behind Peruvian favorite Los Balcones in Hollywood have closed Chavela Comida y Sangria, the vegan restaurant next door. Chavela Comida y Sangria, 1358 Vine St., Hollywood, CA 90028, no phone. Your days to enjoy a beachside meal at Gladstone's may be numbered. Its agreement with the County of Los Angeles Department of Beaches and Harbors is reportedly scheduled to end in October 2017. Gladstone's, 17300 Pacific Coast Hwy., Pacific Palisades, CA 90272, 310-454-3474. Craft beer bar Barrel Down in downtown Los Angeles closed on August 28, 2016. It has been replaced by Brack Shop Tavern, a new concept from Last Word Hospitality. Barrel Down, 525 W. Seventh St., Los Angeles, CA 90014, no phone. In Westwood, the popular Glendon Bar & Kitchen has closed. Glendon Bar & Kitchen, 1071 Glendon Ave., Los Angeles, CA 90024, no phone. Akasha Richmond’s Indian restaurant Sāmbār closed after service on Saturday, August 27, 2016. She plans to open an Italian restaurant in the space in the fall. Sāmbār, 9531 Culver Blvd., Culver City, CA 90232, 310-558-8800. Los Feliz Mexican stalwart El Chavo is closing after Labor Day weekend. The restaurant had recently reinvented itself with chefs Phillip Frankland Lee (Scratch Bar & Kitchen) and Alejandro Carasco helming the stoves. El Chavo, 4441 W. Sunset Blvd., Los Angeles, CA 90027, 323-664-0871. Din Tai Fung’s historic first U.S. location in Arcadia is temporarily closed for renovations. Taiwanese dumpling lovers can head to the Din Tai Fung that opened at the Westfield Santa Anita mall a few blocks away. There are also plenty of seats available at the newish location of Din Tai Fung at The Americana at Brand in Glendale. Din Tai Fung, 1108 S. Baldwin Ave., Arcadia, CA 91007, no phone.